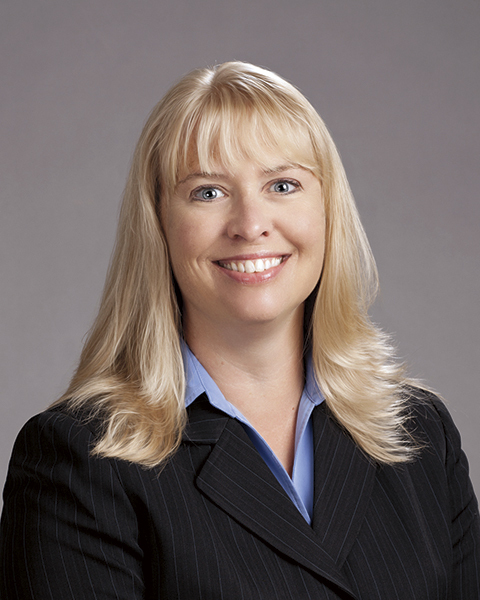 Christine A. Tebbetts ’91 joined the PSUAA Board of Directors. Tebbetts is an attorney in family law based in the Lakes Region of New Hampshire. Scott Allen ’93 is chief of police for the East Bridgewater Police Department in East Bridgewater, MA, where he has been employed since 1995. He has been married to Tanya Wagman ’95 for more than 21 years. Bryan Litchfield ’96 received the Biddeford-Saco-OOB Courier Great Person Award in January. Litchfield, who is a social worker at JFK Memorial Elementary School in Biddeford, ME, was recognized for his problem-solving mindset and generosity. In addition to his work at JFK Memorial, Litchfield created and runs a food distribution program in the Biddeford community. Heather Davis ’96 has been promoted to associate director of athletics at University of New England. Davis has been with UNE since 2010 and was previously head women’s soccer coach. Prior to joining UNE, she coached soccer at Lock Haven University and Carnegie Mellon University, and has notched 177 victories in her 19-year coaching career. Gary A. Hagens ’97G has been named chief medical officer at St. Elizabeth’s Hospital in Belleville, IL. Hagens previously served as regional chief medical officer and regional chief operating officer at Springfield Regional Medical Center and Mercy Memorial Hospital. Holly Weber ’98G has joined Metro Aviation of Shreveport, LA as director of customer revenue cycle support. 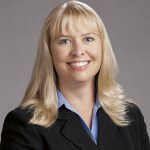 Weber previously served as vice president of business development and transformation for Syncordia Technologies and Healthcare Solutions. Jonathan Haas ’00 has been selected to lead the Valparaiso University women’s golf program. Haas previously served as the head girls and boys golf coach at Crown Point High School in Crown Point, IN, where he was named Post-Tribune Boys Golf Coach of the Year in 2013 and 2015 and received the Indiana High School Golf Coaches Association Distinguished Service Award. Patrick T. Leahy ’01 joined the PSUAA Board of Directors. Leahy is an officer for the city of Holyoke, MA Police Department. 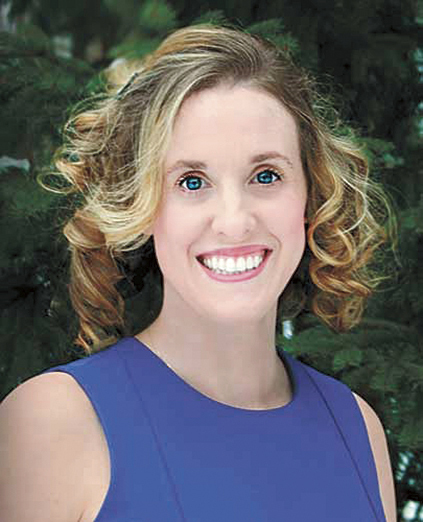 Amanda Bacon ’04 (above), director of sales and marketing at Palmer Gas & Oil, has been named one of 2017’s Rising Leaders in the propane industry by LP Gas Magazine. David Fontes ’04 (left) has been named to the board of directors of Big Brothers Big Sisters of the Ocean State. Fontes is CPA and partner at BlumShapiro in Cranston, RI, and was named to the Top 10 Public Accounting Professional Rising Stars by the National Academy of Public Accounting Professionals in 2015. He teaches several continuing professional education courses each year for employees and clients. 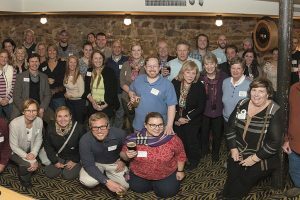 Dan O’Halloran ’04 has completed a two-year term as president of the Lake Sunapee Region Chamber of Commerce. O’Halloran, who works in real estate, joined the chamber in 2009. Dan Corn ’05, completed his final examination to become an IFMGA/American Mountain Guide-certified ski guide. Corn splits his time guiding between the Tetons and the Chugach and Denali ranges of Alaska. Timothy Draper ’06, a private banker with Ledyard National Bank in Hanover, NH, has obtained elite Certified Wealth Specialist (CWS) designation. The Certified Wealth Strategist education and designation are administered by Cannon Financial Institute, which awards credentials to individuals who successfully complete initial and ongoing certification requirements. Mubasher Nadeem ’07 PELI has completed his PhD in English and is director of training for the Punjab Higher Education Commission. In 2010 he received the Best University Teacher Award from the Higher Education Commission of Pakistan. Nadeem is a graduate of the PSU Pakistani Educational Leadership Institute. Dustin Siggins ’08 (right) has been hired as director of communications and public affairs for the Pet Industry Joint Advisory Council. Siggins previously worked as a reporter and commentator for numerous publications, and was a public relations consultant. His work has been published by USA TODAY, Huffington Post, Real Clear Policy, National Review Online, and elsewhere, and he has appeared on dozens of radio and television programs. His clients have received exposure at outlets such as Reuters, the Washington Post, Roll Call, the Washington Examiner, One America News, and more. 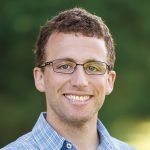 Gene Martin ’09 has been named director of development for Concord, NH-based Future In Sight, formerly known as the NH Association for the Blind. Martin, who lives in Manchester with his wife, Erin, has nearly a decade of experience in fundraising, communications, event logistics, and program management on state political campaigns. Future In Sight serves residents throughout New Hampshire and other parts of New England. Mark Murphy ’09 has been promoted to vice president of operations for Mr. Mac’s Macaroni and Cheese. Murphy started with the Manchester, NH, location of Mr. Mac’s in 2010 and was promoted to general manager in 2012. He will be responsible for all operations in Mr. Mac’s company-owned restaurants and will act as liaison on all operational matters with Mr. Mac’s franchisee-owned locations. 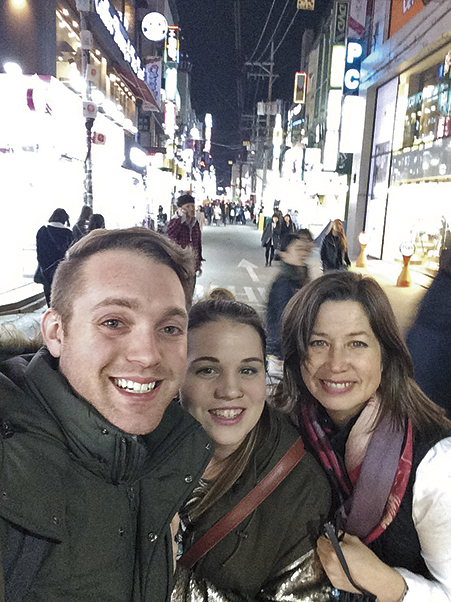 PSU admissions officer Sandy McGarr met up with Cheryl Roy ’12 and Samuel Tolley ’13 (left) in March in Inchon, Korea. Roy is a pre-K teacher and Tolley is high school music director at Cheongna Dalton School. Josh Huber ’13 helped save the life of a high school wrestler in New Jersey in January. Huber, who wrestled at PSU, assisted others in performing CPR and using a portable defibrillator to rescuscitate Brandon Gonzalez, who went into cardiac arrest during a match. Gonzalez was taken to a local hospital after being revived and is doing fine. Adam J. Rego ’15 is scheduled to enter the police academy in Plymouth, MA, in June. Rego, who graduated from Bishop Stang High School in North Dartmouth, MA, and has received a conditional offer of employment from the Dartmouth Police Department, has previously worked as a nuclear officer at Pilgrim Nuclear Power Station.